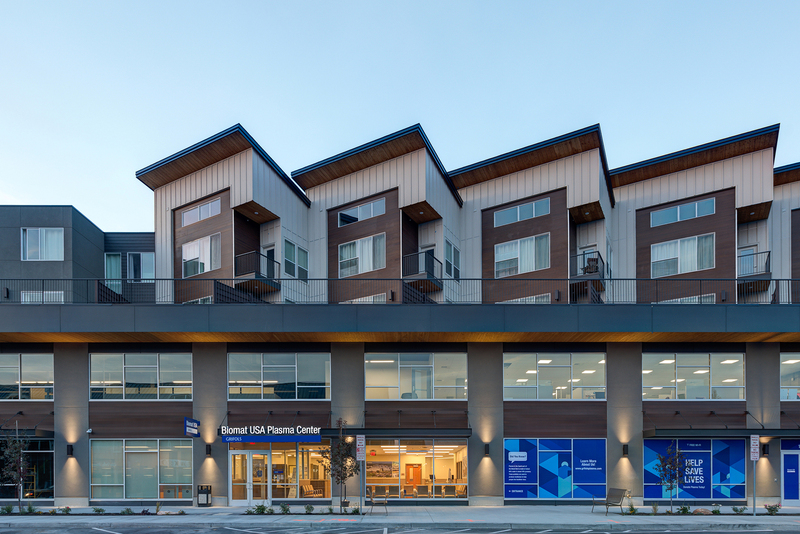 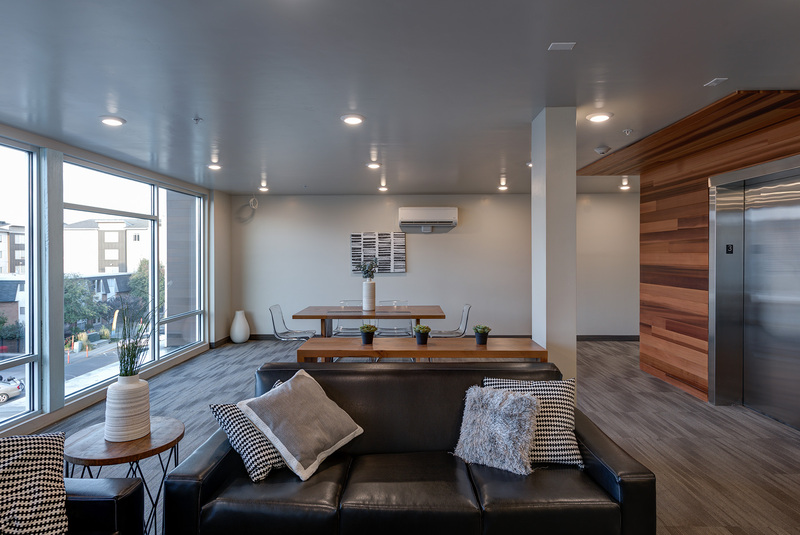 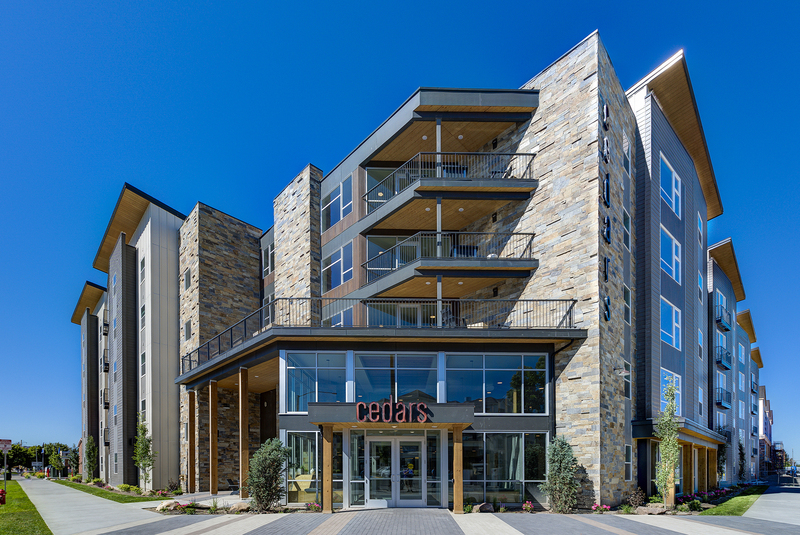 The new Cedars Apartments built for the Hemmings Properties, includes the new construction of two new apartment buildings 137,860 SF and 86,038 SF, situated around and on top of 153,840 SF parking garage. 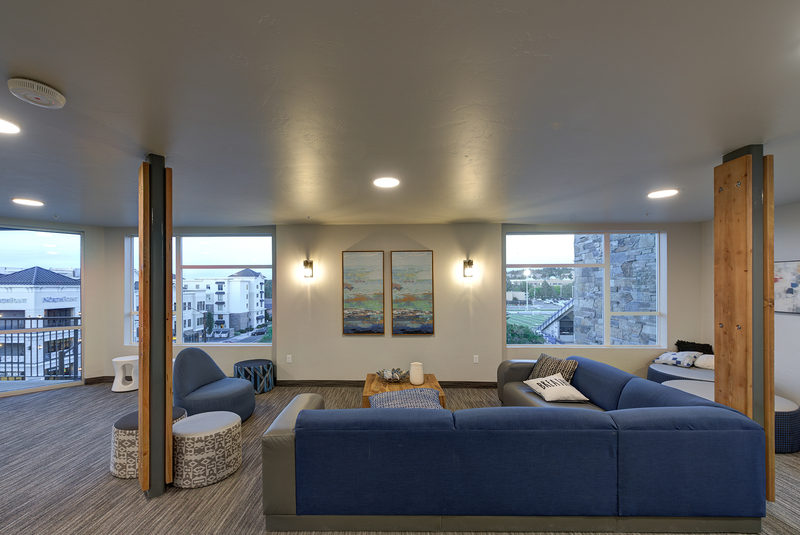 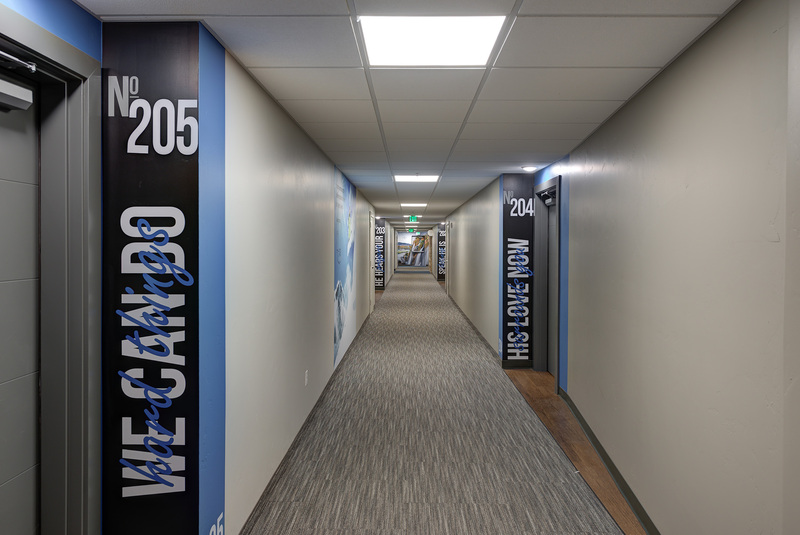 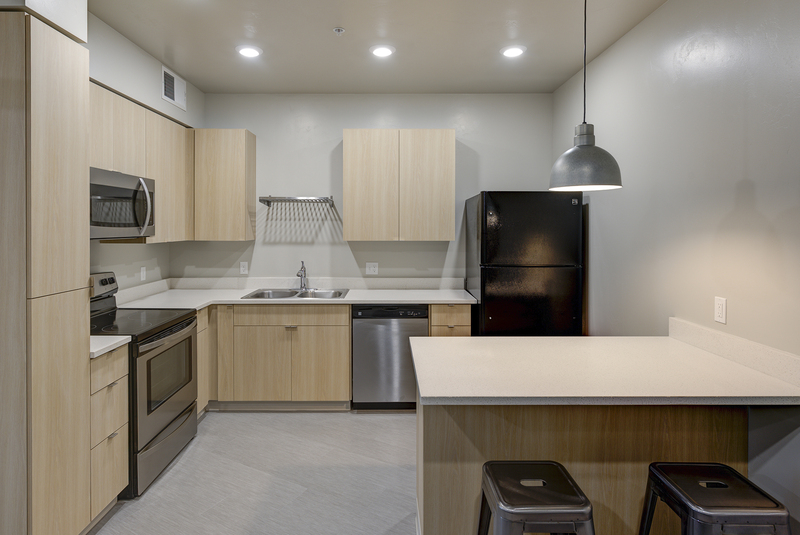 This new student residence will support the growing need for BYU-Idaho approved student housing. 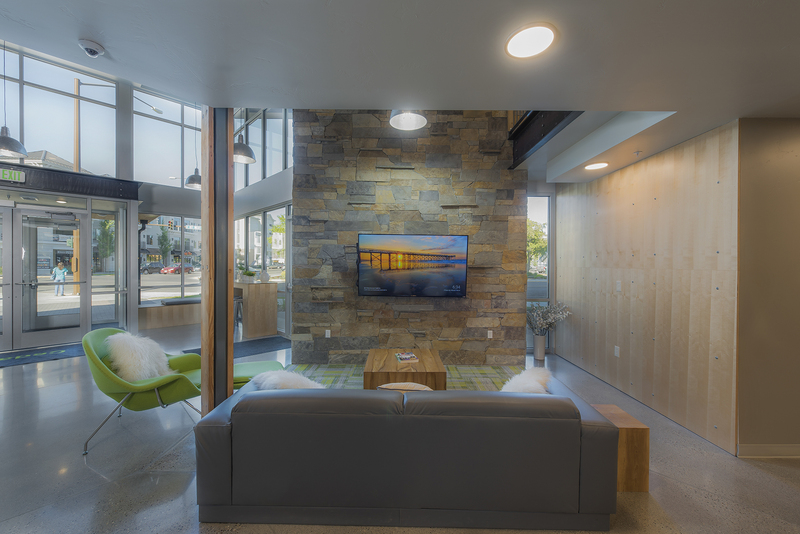 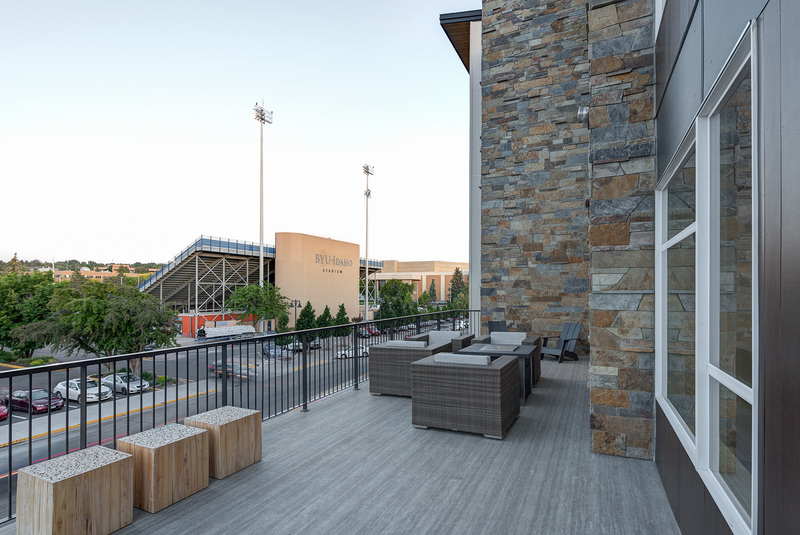 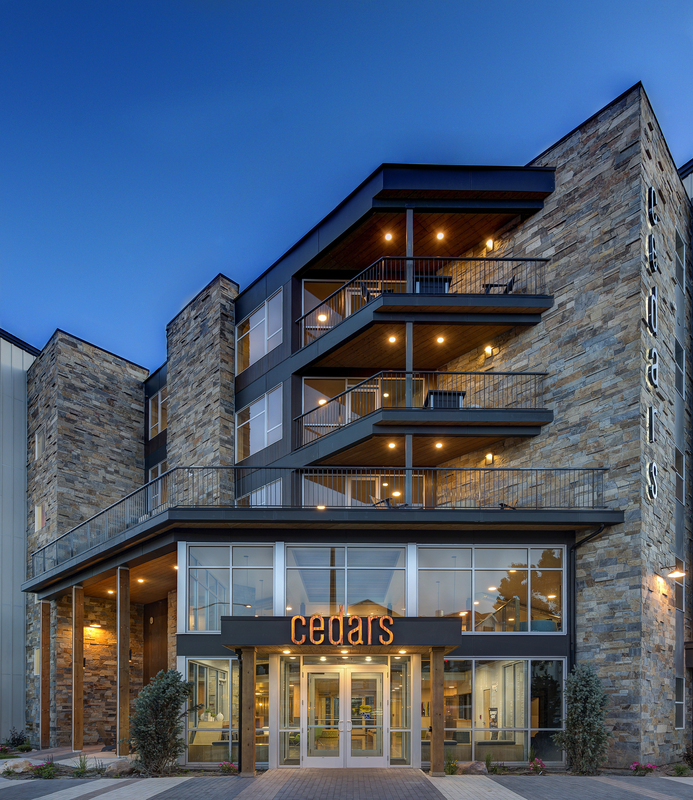 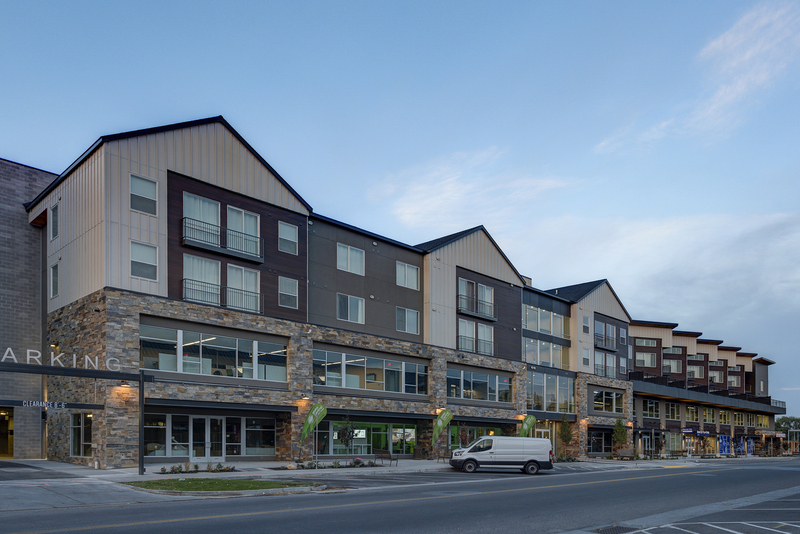 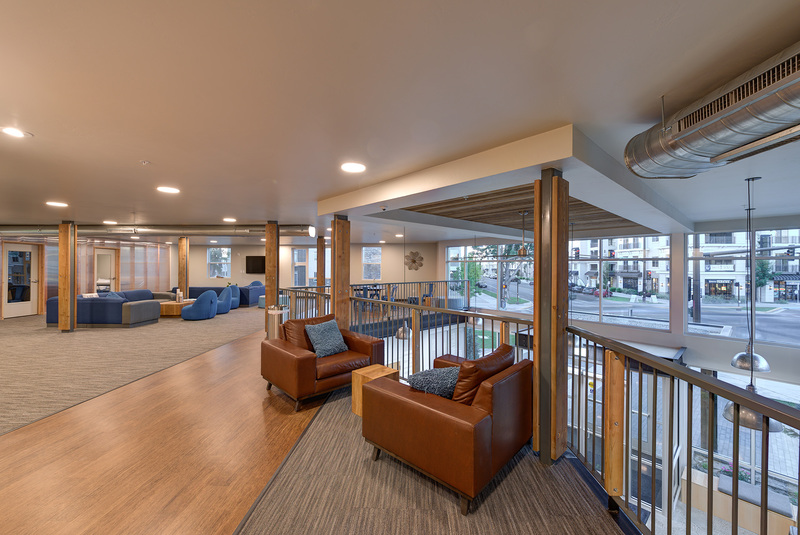 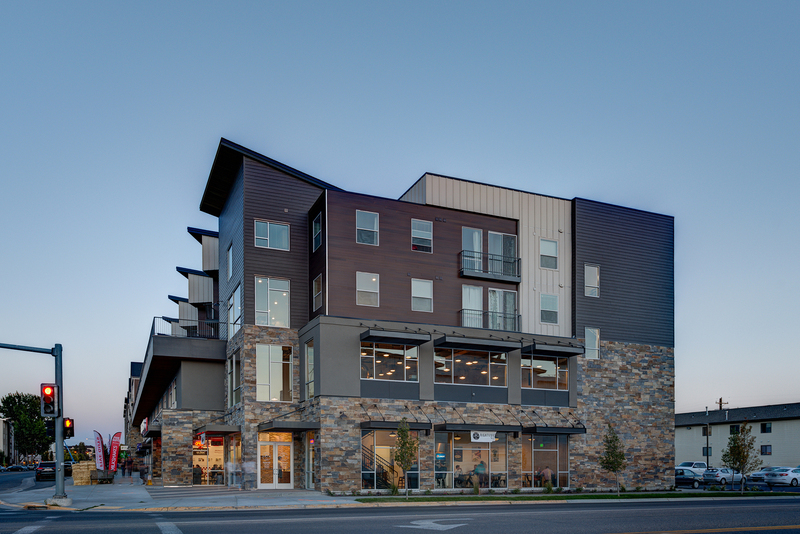 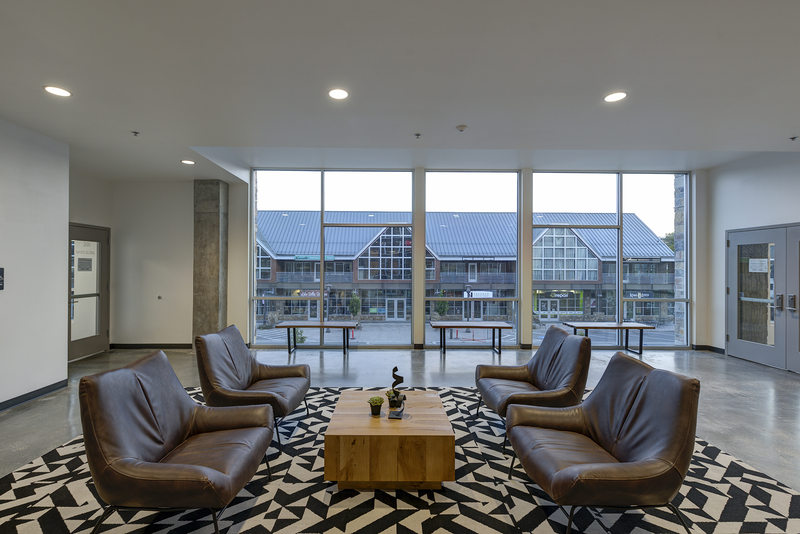 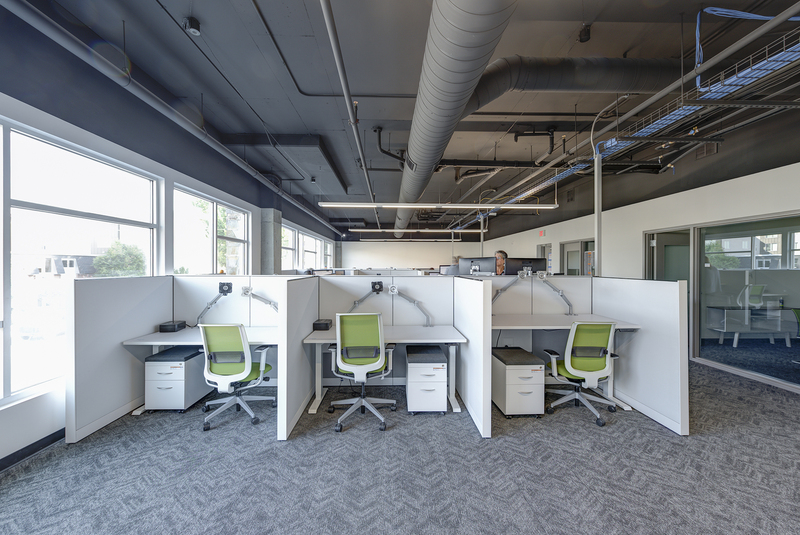 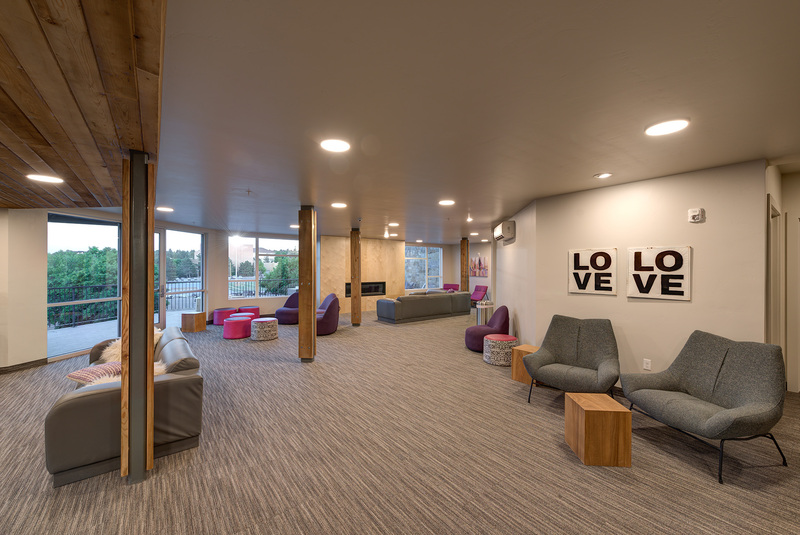 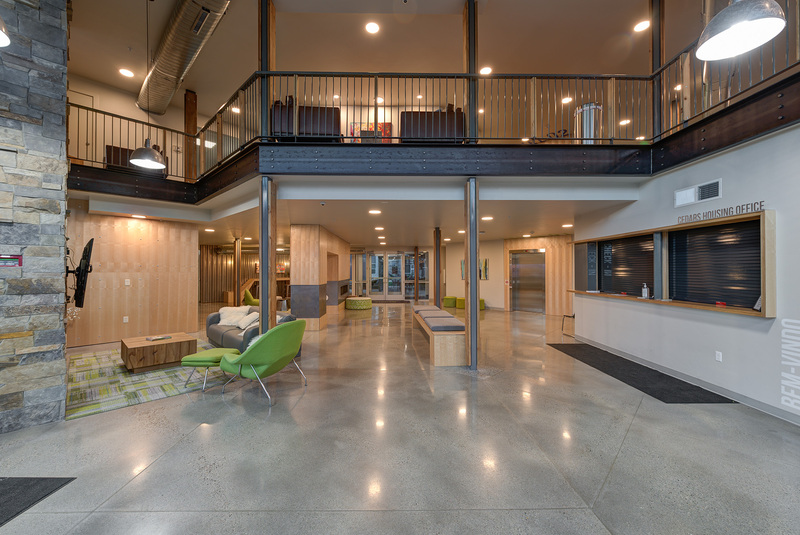 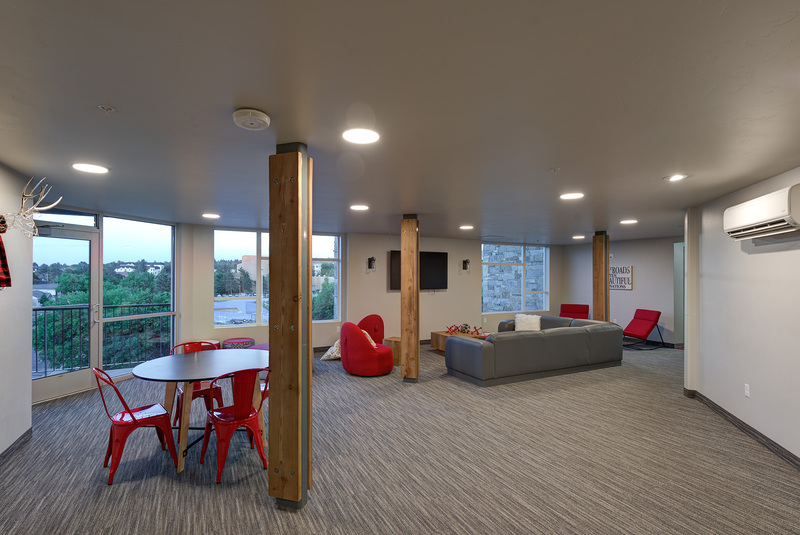 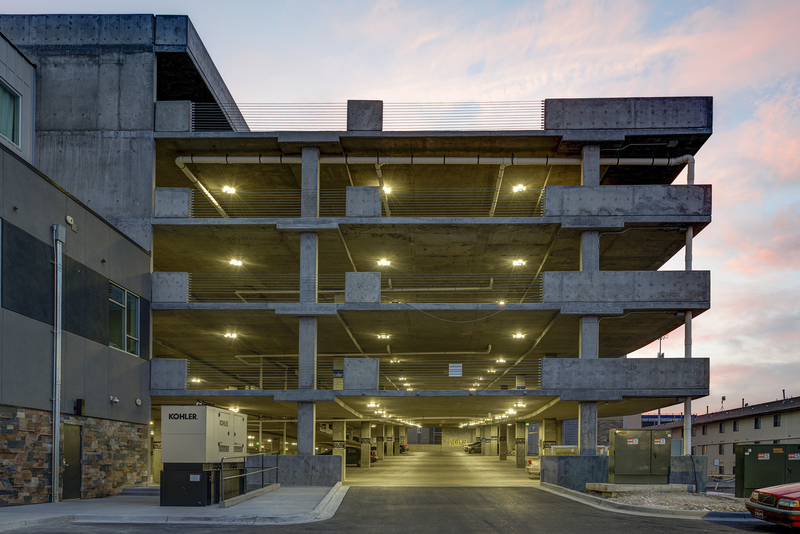 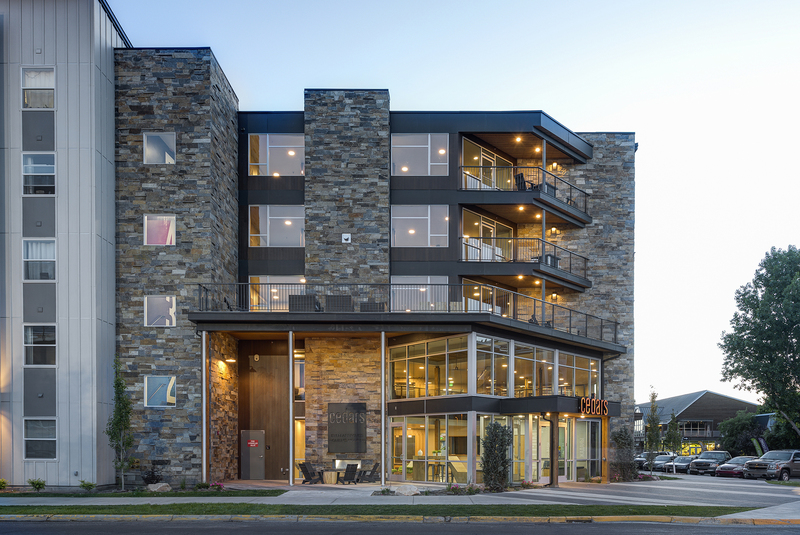 The five-story building was constructed with a conventional wood framed structure; stone, EIFS, cementitious panel, cedar lap and glass exterior; and high-end, durable and modern finishes throughout the interior of the building. 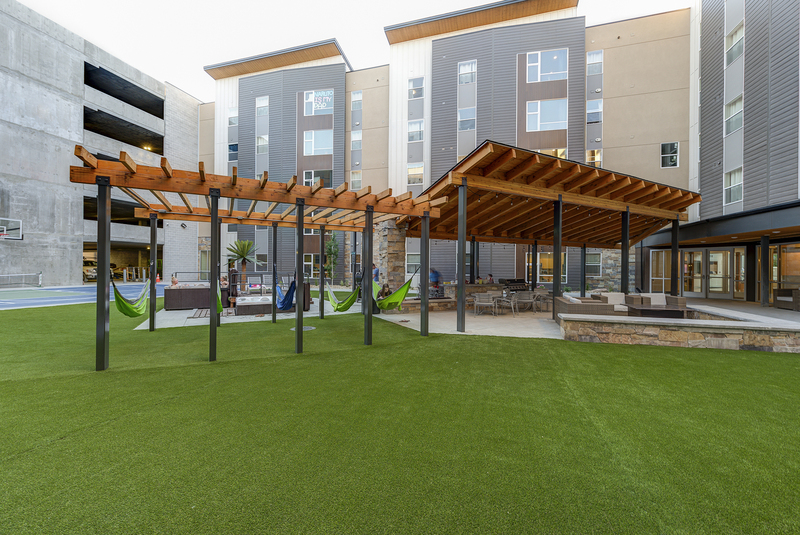 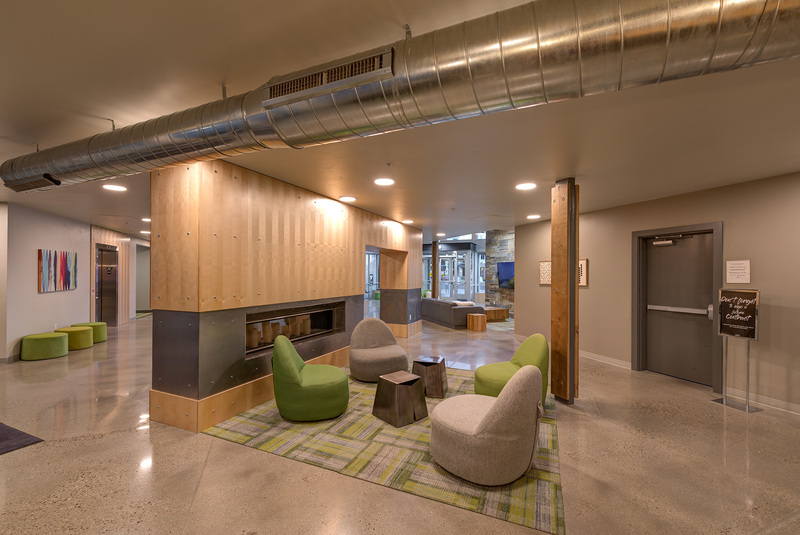 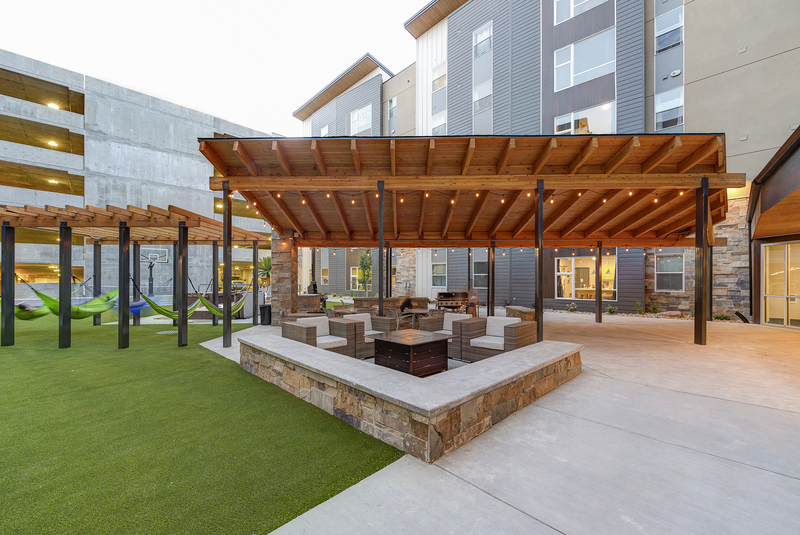 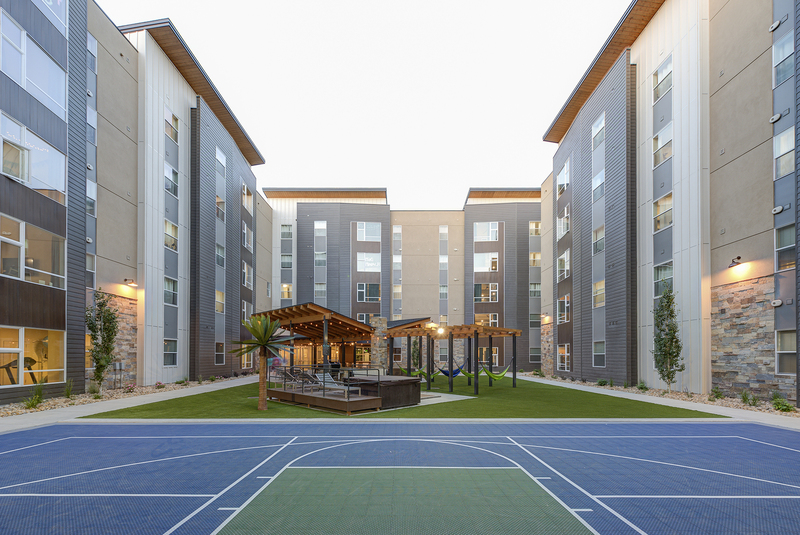 The facility features a outdoor courtyard area with a BBQ area, hot tubs, hammocks, and a basketball court.